This past year has been a year of pain, heartache, struggles and health issues. However, it has also been a year of such growth – spiritually, emotionally and for the blog. At the beginning of last year I set lofty goals to help motivate me and push me to grow this blog into a business. Some of them were met and others not, but overall I am pleased and so excited with where we are headed. My pageviews have more than quatrupled, first time visitors have more than doubled as did my Pinterest followers – just to name a few. It is hard to believe that we have grown that much in just one year, but it is all thanks to YOU!! You all have referred people here. 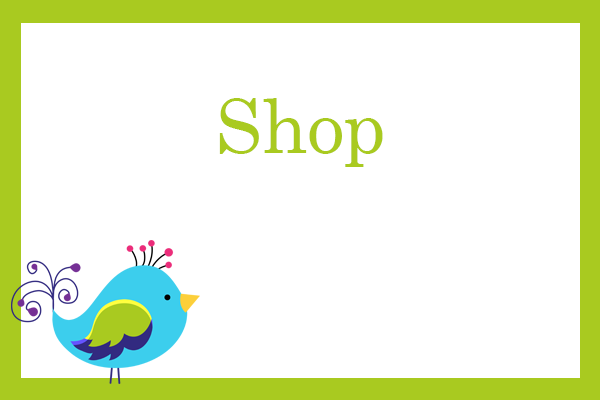 You all have spread the word about my printables and products. You all have believed in me enough to share and share and share. Words cannot adequately express how much that means to me. YOU are the lifeblood of this blog and without you, I wouldn’t be here. 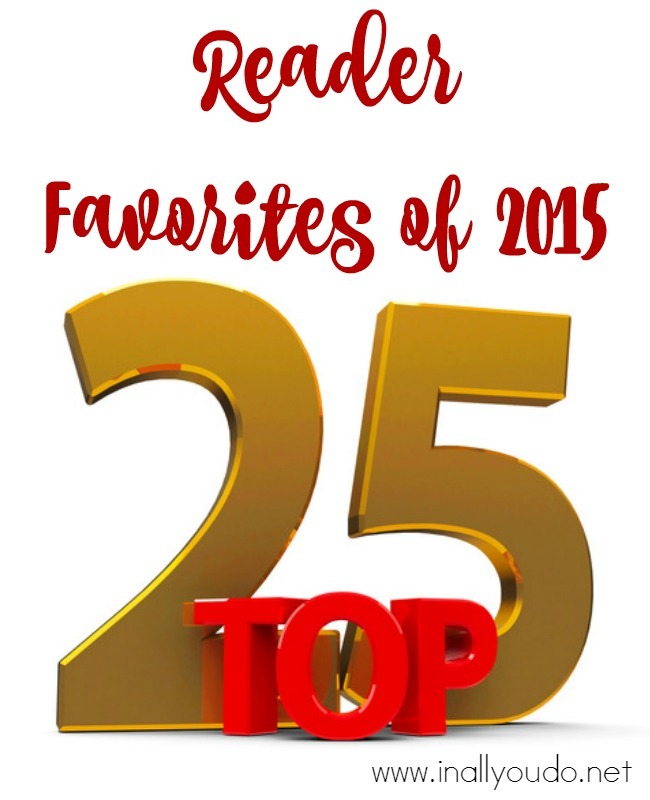 As I reflected on 2015, I wanted to see what the reader favorites were – your favorites. 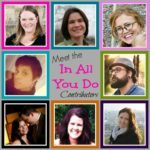 So today, I want to share the Top 25 posts from last year with you all. It’s always fun to look back and see what you all enjoyed, shared and loved so much. It really does help me plan for the new year and bring you more of what you love. Just like last year, some of these posts surprised me, while others were somewhat expected. #24 – Weather Tot & PreK-K Pack – This is such a fun pack for the little ones. The Tot Packs are filled with so many great activities for your little ones, which makes them so easy to print and use. Weather is a fun unit to do with the kids too, so it doesn’t surprise me this made the list. #23 – Camping Writing Activities – Camping is such a fun family activity, so this one didn’t completely surprise me. We might brave the great outdoors this year with our kids, since they have been begging to go. These writing activities would be perfect after the trip! #22 – Bible Characters Emergent Readers – These came about during our 30-Days of Bible series this past year. They are perfect for helping those little ones learn different Bible Characters while working on their reading skills. #21 – Dental Health Coloring Pages – February is Children’s Dental Health month, so these didn’t necessarily surprise me. The coloring pages are a great way to introduce a visit to the dentist for a young child or to show them that it isn’t as scary as it sounds. #20 – Frogs Life Cycle Emergent Readers – This one makes me giggle, honestly. While I thought the clipart for these were so cute, I never dreamed they would be so popular. 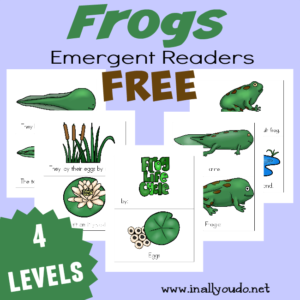 If you are studying frogs, these emergent readers are perfect for your young/early readers to learn along with the older kids. #19 – Outer Space Printables – These are a couple years old, so I was pleasantly surprised when I saw them on the list this year. If you’re studying space or the solar system, these would be a fun addition. #18 – 100 Days of School Coloring Pages – I honestly never knew the 100th Day of School was such a big deal until we started Kindergarten with our oldest. Since we homeschool, we don’t have a huge event, but I do try to make it fun. These coloring pages are a great filler during the day while I work on getting the next activity ready. #17 – Gingerbread Tot & PreK-K Pack – Don’t you just love Gingerbread? They are just so cute and so fun to use around Christmas time. I hope this will be a favorite for years to come. #16 – Butterfly Emergent Readers – These are another one of my favorites. I just love the clipart in this set and it was so fascinating to see and learn about the different types of Butterflies as I worked on this project. #15 – Dr. Seuss Tot & PreK-K Pack – This was a new addition to the blog in 2015. I am so excited to see it here on this list. These Tot & PreK-K Packs are so fun for the little ones to not only learn about Dr. Seuss, but also work on their letters, sounds and more! 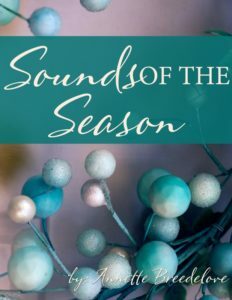 #14 – Sounds of the Season: A New Music Study – This one thrills my heart. This was a project I had wanted to do for so long, but honestly made me nervous. I am so excited that you all loved it just as much. And I am pleased to announce that more will be coming to the blog very soon. #13 – Rainforest Writing Activities – When I saw this one on the list, I was pleasantly surprised. 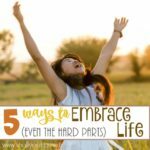 I am so thrilled that you all like these printables as much as I do. I just love the vibrant colors in the clipart! #12 – Rainforest Coloring Sheets – Although these were among some of my favorites, because I just love the clipart, this one really surprised me. If you’re studying the Rainforest this year, I encourage you to grab these coloring pages for your kiddos! #11 – Community Workers Coloring Pages – Okay this one completely threw me for a loop. My kids LOVE these pages and learning all about the workers in our community. #10 – What You Need to Know if You’ve Never Had a Miscarriage – Again this makes the Top 10 list. 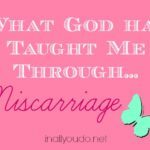 This post is beautifully written by one of our contributors, Lindsey Bell, and really gives great advice for those who know someone suffering from a miscarriage. If you or anyone you know has suffered from a miscarriage, this is a beautifully written post. 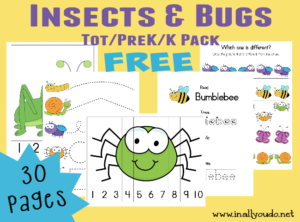 #9 – Insect & Bugs Tot/PreK-K Pack – Another surprise on this one. I know my girls are insect lovers, weird…I know, so I created this fun pack to do with them while we watched and learned about them this past year. I had no idea this pack would be so popular though. The Tot & PreK-K packs are full of fun activities, puzzles, beginning sounds and more to help capture that love of learning at a young age! 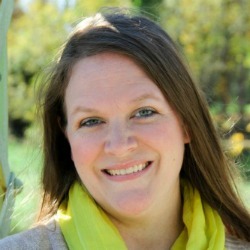 #8 – The Very Hungry Caterpillar Emergent Readers – This is another post that surprised me. While my kids and I love this book, I was amazed to find out there was a Hungry Caterpillar Day (March 2oth) to celebrate Eric Carle. And since my Littles are working on reading, these Emergent Readers were perfect. If you love this classic story, don’t forget to stop by and pick up this set of readers for your little ones! #7 – Dr. Seuss Quotes Copywork – Dr. Seuss books have always been some of my favorites, so it doesn’t surprise me that this one made the Top 10 again this year. As kids get older, it gets a little tougher to celebrate Dr. Seuss Day, but these copywork printables are perfect for the older crowd! #6 – Thanksgiving Unit – This post is one that shocked me, quite honestly. I created this unit study 3 years ago around the same time as the Pilgrim Study, but its never been one that was highly trafficked until this year. It is such a fun unit to do with your kids as everyone gets wound up for the holiday and break. It includes every subject, but can be easily completed in a day or two. If you haven’t looked at it, I encourage you to try it this coming year! 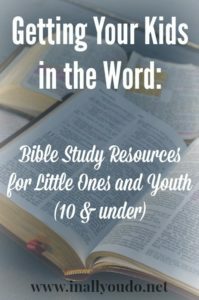 #5 – Getting Kids in the Word – This post makes the Top 10 for the second year in a row. It is by far my most pinned post and I couldn’t be more excited about it. This tells me that God is still important and that you want your children to grow up knowing Him!! Now if you don’t get excited about that, we need to talk! 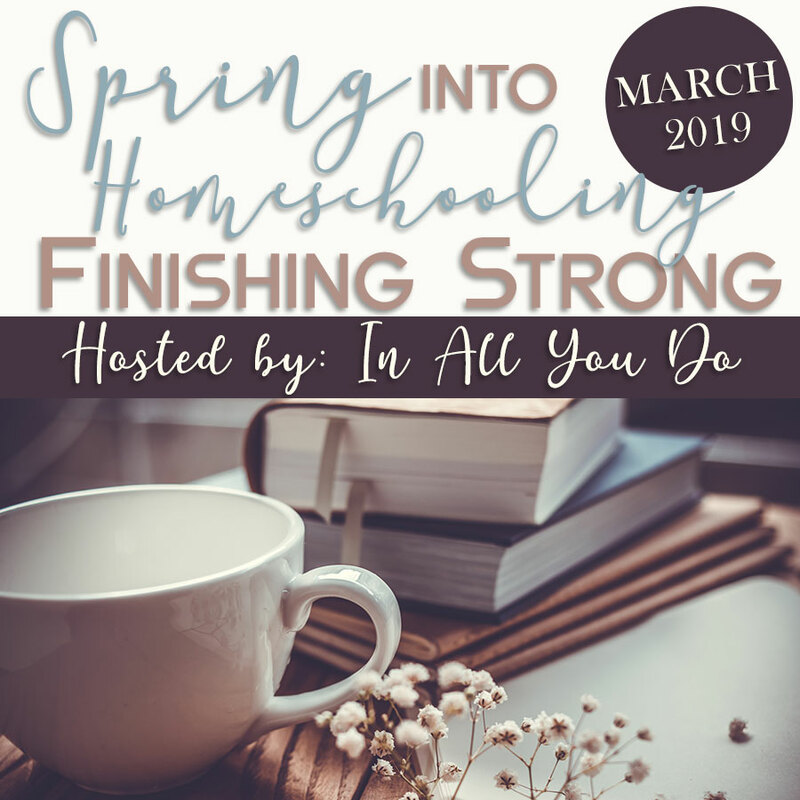 #4 – Bible Journaling: A New Way to Study Your Bible – This post comes from a wonderful friend of mine, Stephanie from The Multi Taskin Mom, who wrote this for our 30-Days of Bible series back in June. While I am not an artistic person, as far as drawing goes, I do admire and love this form of Bible study. It is always so beautiful. And I say…whatever works to keep God’s Word in your heart and mind – go for it! #3 – Polar Express Printables & Party Ideas – This is one of my favorite posts. We love “The Polar Express” movie and I can’t wait to set up a party for the kids in our little town to enjoy next year. Won’t that be SO FUN?! #2 – Pilgrim’s Unit – Again, for the second year in a row, this post is #2. When I created this post 3 years ago, I had no idea it would be so popular. I better add more Pilgrim posts to my line-up this year! 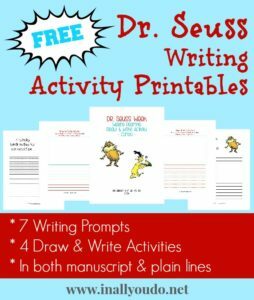 #1 – Dr. Seuss Writing Activities – For the second year in a row, this is the top post. I guess I better start thinking about more Dr. Seuss printables for you all! 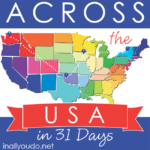 Across the USA in 31 Days: Coming Soon!